Who is the Better State Champion? Who is the best of the two state champion Wonder football teams? 1989 or 1997? There is much debate where this question is concerned and most of us have our own opinions. Naturally players from the two teams will tell you in all confidence that their team is best and who could argue with them? How much do we really know by way of comparison to make even an uneducated guess? To decide between these two teams is like throwing blood in the middle of shark infested waters. Unless you were to play a game between the two clubs while each of it's participants were in their prime that question could very well go unresolved. There has been some friendly conversation in the past about some of the players from both teams getting together for a friendly game of flag football to lamely try to settle the debate on the field and doing it as possibly a booster benefit or community charity affair at Memorial Stadium, but knowing the competitive nature of the individuals involved I'm sure it would only take a few plays before the flags be damned and full contact begins, but that's the Wonder spirit in the raw. While pondering this burning question that so many Wonder fans ask themselves I thought it would be fun to sit down on my own and break the two teams apart on paper and look at some of the different variables both teams possess. Is it possible to decide who is the better state champion by dissecting them directly before your eyes on the pages of Friday Nights in K-Town? I'm not sure, but I'm going to give it the old college effort and try to come to some middle ground where this burning issue is concerned. Mind you this is only in fun and I am not particularly partial to anyone, and if I were I surely wouldn't say it here lol. First lets take a look at what both these ball clubs have in common. 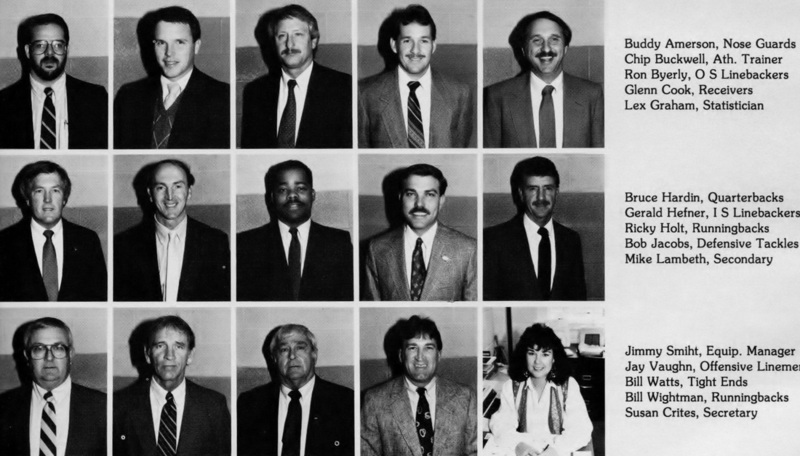 What is possibly their most glaring similarity is that both the 1989 and 1997 state champions were directed by the same head coach Bruce Hardin. For the most part both teams were privileged to be instructed individually and by position by the bulk of the core assistants inherited by Hardin from former head coach extraordinaire Robert Bob Boswell. Both teams run their offense primarily out of the I Formation with just a few slight twists. Maurice Blakeney being a very good scrambler was more suited for the shotgun while William Craft's abilities coupled with the tailback tandem of Nick Maddox and Traun Brown was better suited under center opting to throw primarily out of play action. Defensively the 1989 Wonders worked out of the 5-2 configuration with five down linemen and two linebackers while the 1997 Wonders opted for the base 4-3 using four down linemen and three linebackers. To say right now who is best is like comparing apples and oranges so a little more study into these two teams varsity campaigns is in order. I spent some long hours behind the computer going over the tons of newspaper clippings on both teams seasons dissecting the most important moments to come up with some coherent analogy to fairly evaluate these two great state champions. I didn't want to just come up with something off the cuff, but on the contrary something that could be used as a sort of guide to allow you to come up with your own educated assumption. So here it goes. Try to digest all of this if you can and see if your opinion is the same after you have taken it all in. In order to rate each team fairly Friday Nights in K-Town will be looking at several criteria factors in determining the team that will tilt the scales of justice in their favor. To do this I will be using a typical performance evaluation format used to rate an employees performance during a work year. The criteria and dimensions will be scored using a numeric points system with (1) being the least favorable to (5) being the most favorable in that dimension. The accumulation of the total raw scores in each dimension area will be calculated and at the conclusion of the final assessment I will try to determine just which team looks the best on paper for that year. The criteria I will be considering are Roster, Schedule, and Known Statistical information available for both teams. This is only a rough estimation based on facts known to Friday Nights in K-Town through research of each team's season and most notable events that took place that year. It is not scientific and does not reflect the opinion of the masses. I will tell you that I have consulted with confidential sources in the know about those two teams and what their personal views may be. The weight of those opinions will be considered in the final assessment. Hopefully this will bring some light to the accomplishments each team achieved during their state title years and how tough it is to repeat the process on such a grand scale. Both the 1989 and 1997 Wonders were heavily laden with talent on both sides of the ball. You would be hard pressed to find too many dissimilarities between the two organizations where overall team talent and prowess is concerned. 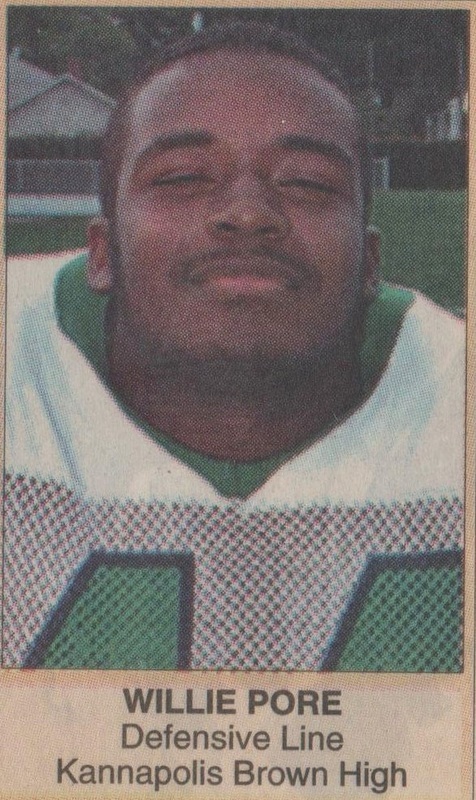 However, You must look at the one variable the 1997 state champions possessed in running back Nick Maddox. 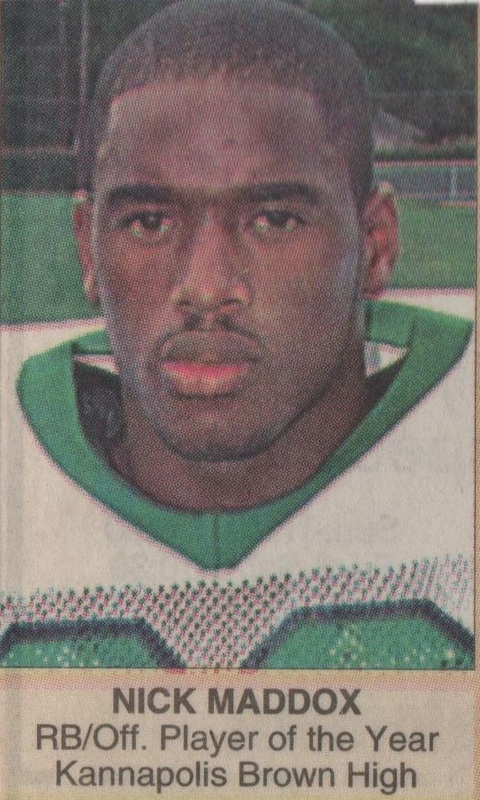 In 1997 Nick Maddox rushed for 2364 yards and 30 rushing touchdowns. Maddox also caught 9 passes for 155 yards and an additional 9 touchdowns. 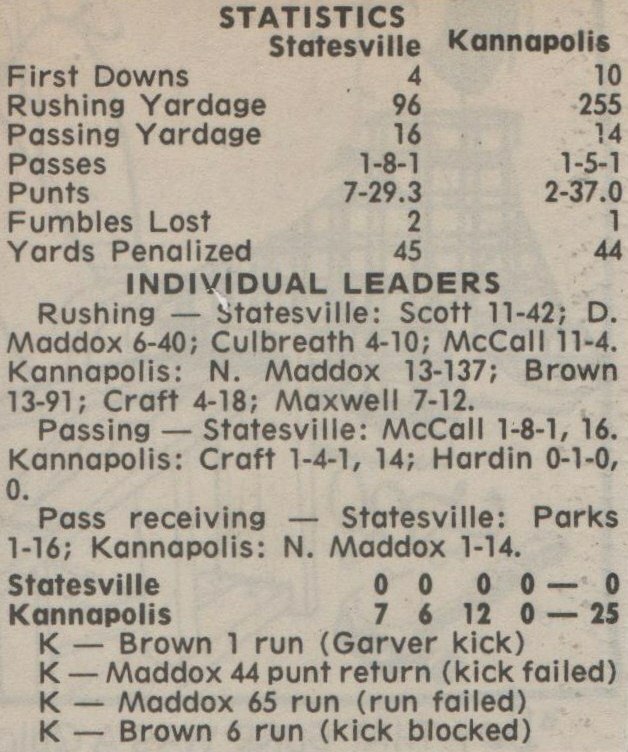 On special teams Maddox accounted for 6 touchdowns on either kickoff or punt returns. 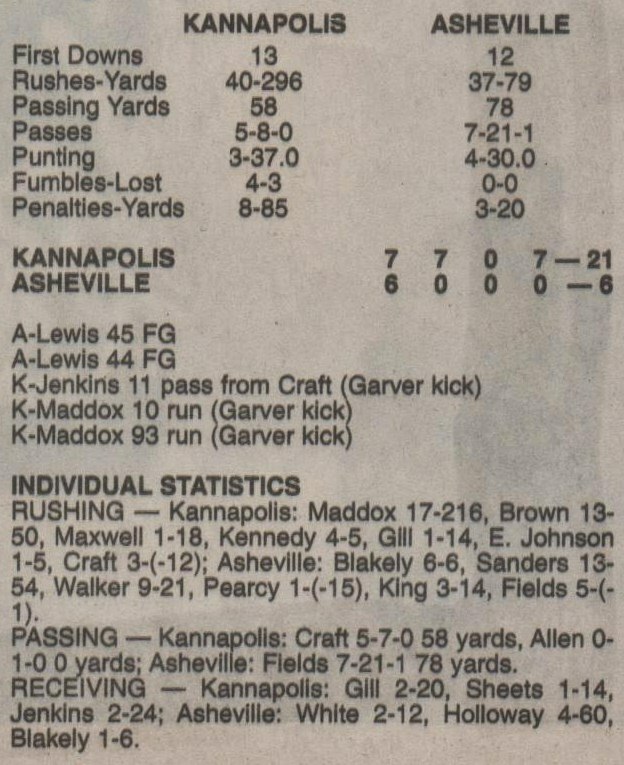 Of the 576 points the 1997 Wonders scored Maddox accounted for 270 of them. 47%, a little less than half of the total offensive production for the Wonders that season. One single player accounting for this much productivity has to be factored in. 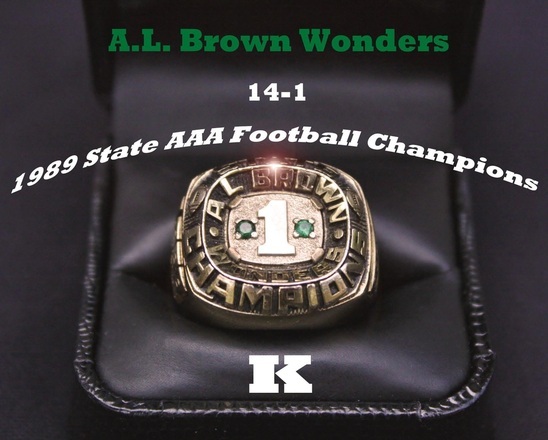 By way of comparison the 1989 Wonders accumulated a season total of 423 points during their state championship run which is 15% less than the total scoring for the 1997 Wonders. The 1989 Wonders did this spreading the scoring out among six to seven different players. By way of comparison in the two rosters there is little to create much disparity between the two ball clubs. Both ball clubs are fast and athletic. Both ball clubs have defenses who are equally as talented as their counterpart. This dimension was the hardest to rate of all the dimensions in the rating criteria. Nick Maddox carried a lot of weight in this dimension are. Did One Team Have an Easier Road to Travel? The path that took the 1989 Wonders to Chapel Hill to play Burlington Cummings for the 1989 State Championship. Teams were paired by pre determined brackets at that time unlike the seeding format. Those brackests consisted of eight teams unlike the sixteen team seeding format today. In reality the 1989 Wonders played the toughest opponents each week. "Featured Guests this evening the 1989 and 1997 State Champion Wonders"
"For Every Point There's a Counterpoint"
In this segment of "The Great Debate" I will be looking at valid claims both sides of this epic drama could make to argue their points at being the best of the state championship teams. Each side has valid claims, but the question is which claims actually hold water. 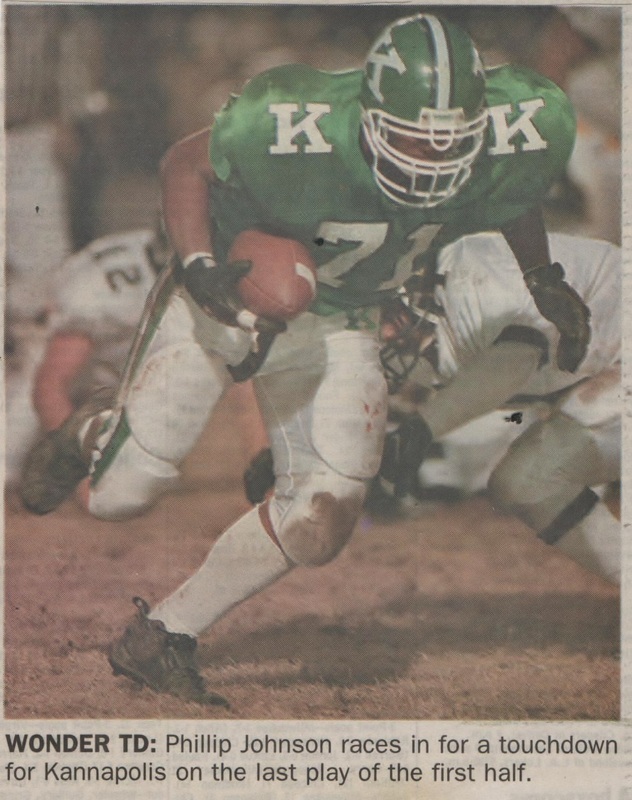 You be the judge in Friday Nights in K-Town's edition of Point/Counterpoint featuring the 1989 and 1997 State Champion Wonders of Kannapolis. Parties Ready? Lets Get It On!! 1989-Point: "You 1997 guys didn't play but three meaningful games the entire regular season." 1997-Counterpoint: "Well neither did you. We played the same number of tough teams you did"
1989-Point: "We put up 306 points in our regular season alone"
1997-Counterpoint: "So, We put up 455 points in our regular season Boooo Yaaaaaa"
1989-Point: "Our defense allowed only 121 points in the regular season top that"
1997-Counterpoint: "Our defense only allowed 93 points in our regular season big boy"
1989-Point: "Your boys got beat by East Rowan in your own house"
1997-Counterpoint: "You couldn't make through the second game at home till you got beat by Statesville"
1989-Point: "We can't help how they laid out the brackets in 1989"
1997-Counterpoint: "We can't help we got shafted and drew the #3 spot out of the SPC"
1989-Point: "We were 9-1 and #1 out of the conference and got to stay home for the first three rounds"
1997-Counterpoint: "We got the 13th seed which wasn't right and had to travel for our first round"
1989-Point: "Quit cryin, We had to beat two undefeated teams at home in the 2nd and 3rd you had it easy"
1997-Counterpoint: "Easy, we had to travel to beat the #4 and #9 seeded teams I don't know how that's easy"
1989-Point: "We showed what we were made of. 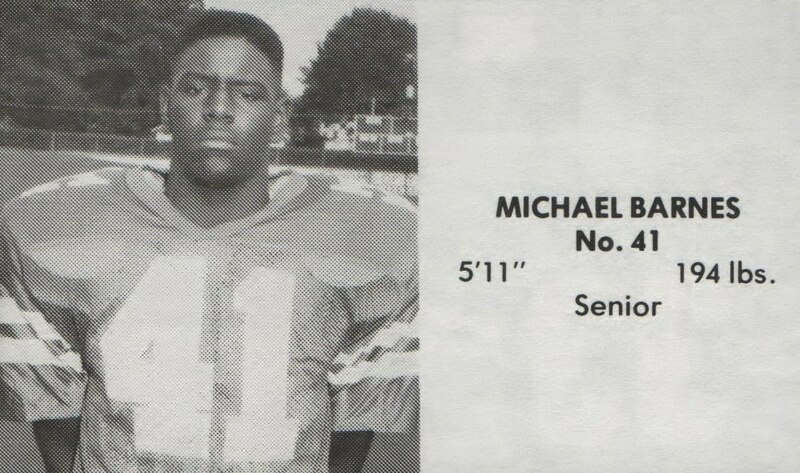 We had to come from behind to beat Shelby at Shelby"
1997-Counterpoint: "You're breaking my heart, We had to come from behind to beat Burns in the fog"
1989-Point: "At least we got our revenge on Statesville." 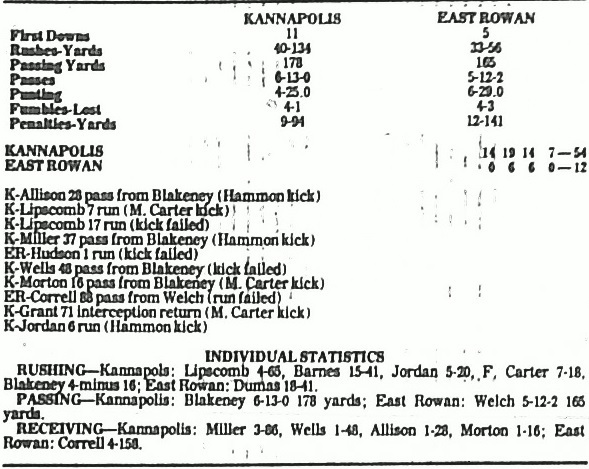 1997-Counterpoint: "We wanted East Rowan, turns out we played a tougher opponent in Kings Mountain"
1989-Point: "We beat Statesville the #1 ranked team in the state our third round in K-Town like it should be." 1997-Counterpoint: "We beat Concord at their house after they beat the defending state champion" Next? 1989-Point: "Shelby was playing their 4th straight regional final when we beat em." 1997-Counterpoint: "You guys had to struggle to beat Concord one time away. We did it twice at their place"
1989-Point: "Cummings was the defending state champion when we beat em, and undefeated too." 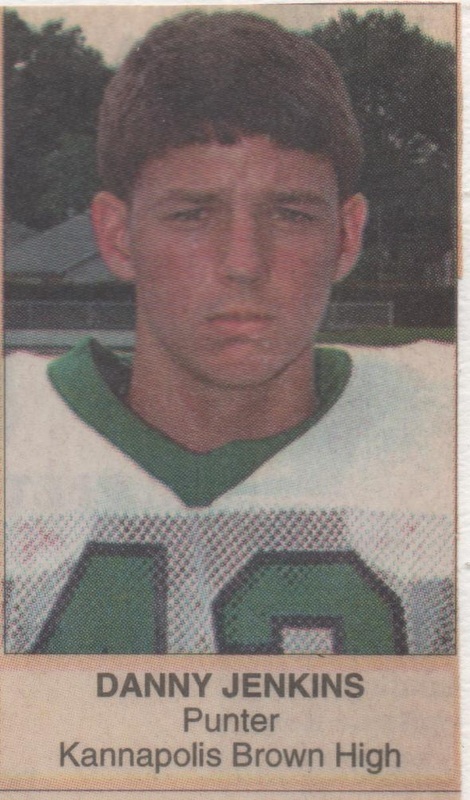 1997-Counterpoint: "Concord had just beaten the defending state champ Hickory when we beat em there." 1989-Point: "We shut Cummings out Dog!" 1997-Counterpoint: "We shut Concord out Dog!!" 1989-Point: "We put up 117 points in the playoffs"
1997-Counterpoint: "We put up 121points in the playoffs"
1989-Point: "Our defense only allowed 42 points on them in the playoffs"
1997-Counterpoint: "Our defense allowed only 61 points on them in the playoffs"
1989-Point: "Our offense and defense scored points for us in the state title game. Maddox saved yall"
1997-Counterpoint: "Our boy Nick set four state title records that night what did Blakeney do?" 1989-Counterpoint: "Maddox is all you 1997 boys got to hang your hat on"
FIK intervenes: "Alright guys that just about covers it, I think you've made your points." Thanks Wonder fans for tuning in to this edition of Point/Counterpoint with the state champion Wonders of 1989 and 1997. We won't be doing this again for awhile!! lol lol. For both the 1989 and 1997 state champion Wonders the path to Chapel Hill was foreboding to say the least. With both squads blasting through their respective regular seasons with only one blemish a piece does little to differentiate the two ball clubs in the context of their regular seasons competition. The Wonders historically have pretty much mastered the South Piedmont Conference along with occasional hiccup the Concord Spiders. In my estimation where the two clubs begin to separate themselves is in the playoffs. 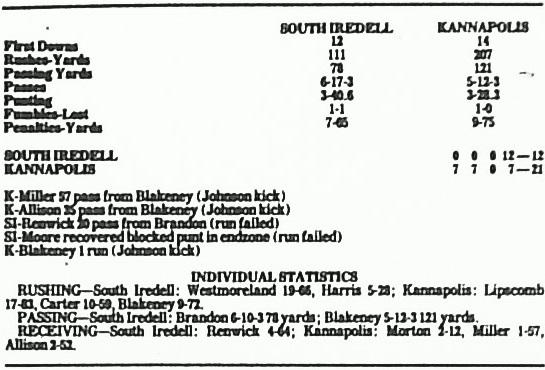 First of all in 1989 teams were not seeded as they are today so teams could pretty much start off playing quality opponents right out of the gate case in point for the 1989 Wonders would be the Vikings of South Iredell. South Iredell came into the first round with the Wonders 9-1 taking second place in the Foothills AAA behind #1 ranked Statesville who was also ranked #1 in the state in the AAA classification. 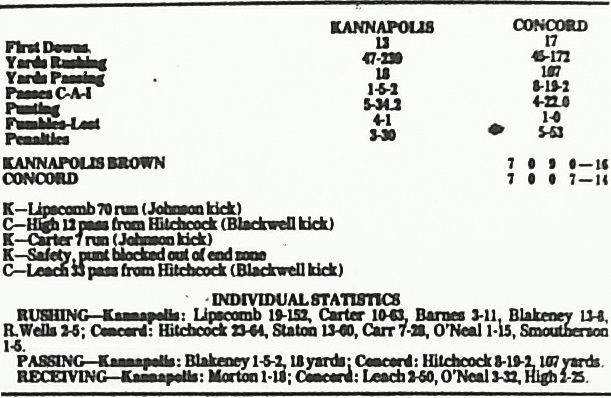 After defeating the Vikings the 1989 Wonders were looking once again at playing an even tougher opponent in the Central Carolina AAA Conference Champion Lexington Yellow Jackets who just one week prior whipped the Concord Spiders in round #1 at Lexington. Following the Wonders impressive 24-9 victory over the Yellow Jackets they were looking at facing the state's #1 ranked team the Foothills AAA Conference Champion Statesville Greyhounds who by the way had handed the Wonders their most humiliating season defeat 29-13 at Kannapolis Memorial Stadium in week two of the regular season. The Wonders put on their most impressive showing in this landmark re-match sending the Greyhounds packing in misery back to Statesville 31-7 setting up a western regional showdown with yet another winning legacy in the Southwestern AAA Conference Champion Golden Lions of Shelby. Until Shelby came rolling along the Wonders had been granted the luxury of playing some of it's toughest games in the comfortable confines of home at Memorial Stadium, but the Western Regional Championship would be another story. For the first time the 1989 Wonders were looking at a formidable opponent who were playing in their fourth straight Western Regional Championship and were no strangers to state titles. The Wonders traveled to Shelby and took 14-7 deficit into the half. The Wonders battled back in the second half to claim a 21-14 victory over the Golden Lions sending Bruce and the boys to the state title game the following week in Chapel Hill. The 1989 Wonders would save their very best for last as they found themselves thrown into the state title game against the defending state champion Cavaliers of Hugh Cummings High School in Burlington, who had not been beaten in twenty nine outings. The Wonders defense would rise to the occasion shutting down the Burlington Cummings Cavaliers and their potent quarterback Donnie Davis 24-0 on a Sunday Night after weather conditions postponed the game for two days. The 1989 Wonders had in fact beaten some of the states top powers to claim the 1989 State AAA Championship. So what about the 1997 Wonders road to glory? 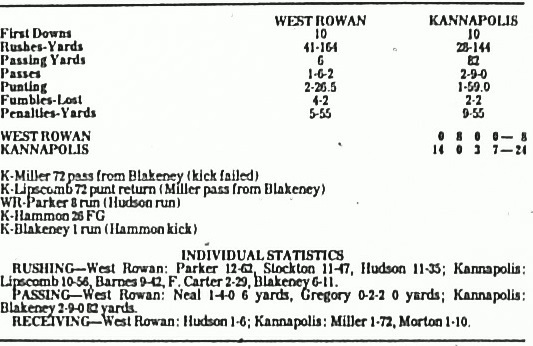 Like the 1989 Wonders in almost eerily similar circumstances the 1997 Wonders would breeze their way through the 1997 regular season campaign only to fall to the East Rowan Mustangs at Memorial Stadium 28-21 for their only blemish of the 1997 season. After defeating their biggest rival Concord who was ranked #1 in the SPC they would find themselves in a three way tie for first place in the SPC along side Concord and East Rowan. It was now left up to a draw at the IHOP on Friday Night following the Wonders victory over the Spiders. As luck would have it the Wonders would draw the #3 spot out of the SPC assuring them that they would have an uphill battle all the way to make it to the dance. The unfortunate or fortunate draw sent the 1997 Wonders three hours away to Asheville for a first round match up with the Cougars of Asheville High School. Starting out a little slow the Wonders would claw their way to a 21-7 victory over the Cougars setting up a second round home game with the Burns Bulldogs who defeated Enka the week prior in the first round. The Wonders had faced the Bulldogs once before in 1990 at Memorial Stadium in a marathon three overtime masterpiece that saw the Wonders defeat the Bulldogs 27-26 in the second round. This time would only be a little less nerve racking as the Wonders had to drive the ball down field from their own forty five yard line to get in position for John Garvers 20 yard field goal with thirty seven seconds remaining in regulation to beat the Bulldogs 17-16. The following Saturday night another hand of fate was to take place in the foothills as the Concord Spiders traveled to Hickory to take on the defending AAA State Champion Red Tornadoes of Hickory High. The Spiders were determined to go toe to toe with the Wonders again as they handed the defending state champion Red Tornadoes a 28-14 loss to insure the re match would transpire. The next week in the sectional final the inspired Wonders handed those same Concord Spiders a 9-0 shutout cementing the Wonders place as legitimate contenders for the 1997 state title. 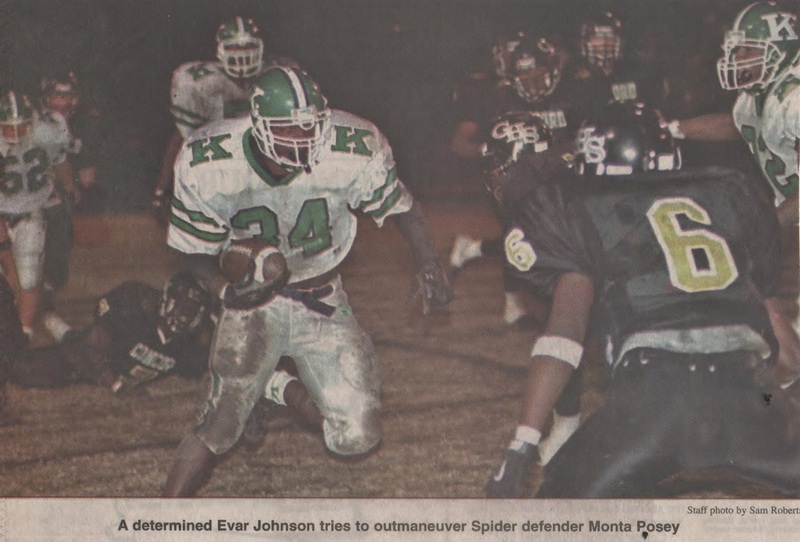 Wanting a rematch to avenge it's only regular season loss at Memorial Stadium to East Rowan an upstart group of Mountaineers from Kings Mountain would deny the Wonders that opportunity setting the Wonders up for one last and very deserved home game for the 1997 western regional championship. The Wonders and Mountaineers hooked up the following Friday night at Memorial Stadium to play a game for the ages that kept bouncing back and forth between the two teams like a ping pong ball until the latter stages of the fourth quarter. The Wonders would put together a final time consuming sixty five yard drive that saw the Wonders work their way out of the shadow of their own goal line brilliantly orchestrated by Wonder QB William Craft to take a 40-27 victory over the upstart Mountaineers. The Wonders were now on their way to Chapel Hill to face the Rams of Northeast Guilford. The Eastern Regional Champion Rams were outmatched from the get go getting a heavy dose of shock and awe as the Wonders scored three times within six minutes of the first quarter to take a 21-0 lead over the Rams. It would be a lead they would never relinquish. Wonder running back Nick Maddox put on a dazzling spectacle of running and catching prowess that saw him set four state title game records in the Wonders 34-12 dismantling of the Rams. Many people including the majority of the players off that state championship team agree that for all practical purposes the state title game had actually been played two weeks prior in Concord. Players believed at the beginning of the year the state championship would go through either Concord or Hickory. In conclusion, the regular season schedule does very little to disclose any disparity between the two state champions, For the most part the regular season had it's usual showing of historically tough teams, however it does begin to put a little distance between the two teams about the time the playoffs roll around. In 1989 the NCHSAA did not seed teams like they do today instead a fixed bracket of eight of the states top teams in the West and East were put together and those eight teams played each other. Each week the 1989 Wonders were looking across to the other side of the field at a #1 or #2 ranked team out of their respective conference. The 1997 Wonders although on the road to begin their playoff run were matched up with a non conference champion Asheville Cougars sporting a 7-3 record. The 1989 Wonders were looking at the #2 ranked team out of the Foothills Conference in South Iredell 9-1 who were sitting just behind the #1 ranked team in the state in Statesville. 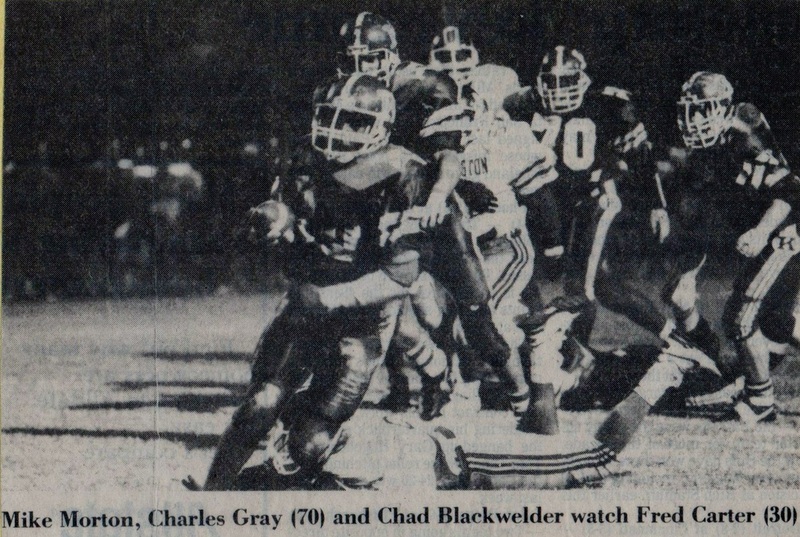 The following two weeks the 1989 Wonders would host two #1 ranked conference champions in the Lexington Yellow Jackets out of the Central Carolina Conference and the the states #1 ranked Statesville Greyhounds out of the Foothills Conference. Both teams undefeated when they took on the Wonders. The 1997 Wonders played at home against an 8-3 Burns Bulldogs team in the second round. 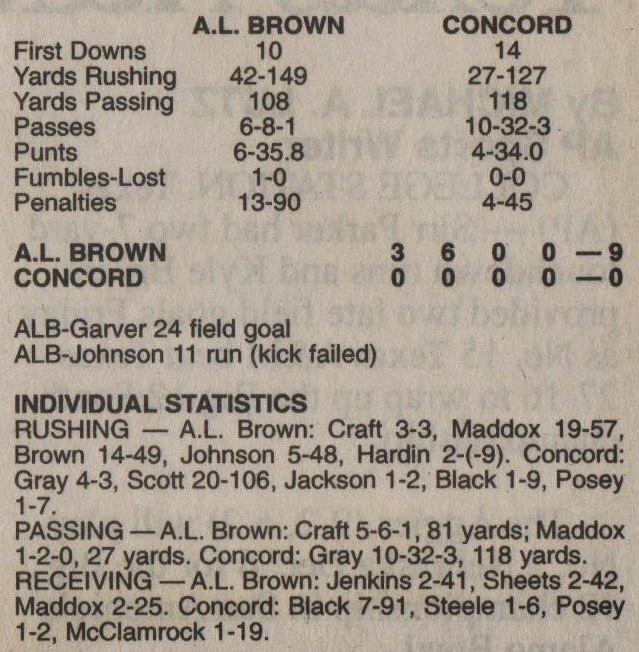 It wasn't until round #3 that the 1997 Wonders got it's first real test when they played the 9th seeded Concord Spiders who the week before had beaten the #1 ranked and defending state champion Red Tornadoes of Hickory. About the time the western regional games roll around for both teams the 1989 Wonders were on the road for the first time in the playoffs again looking at a #1 ranked conference champion in the Golden Lions of Shelby who were 11-2 while the 1997 Wonders were at home playing a 10th seeded Kings Mountain team who were 10-4 who had just upset the #2 seeded East Rowan Mustangs. Now comes the big disparity. After defeating the Shelby Golden Lions in Shelby to earn the right to advance to Chapel Hill the 1989 Wonders would be matched up with the state's #1 ranked defending state champion Hugh Cummings Cavaliers out of Burlington. The Cavs were riding a twenty nine game winning streak and boasted the most explosive offense in the AAA. The Wonders shut down the Cavaliers 24-0 something that had not been done to the Cavaliers in thirty seven games. 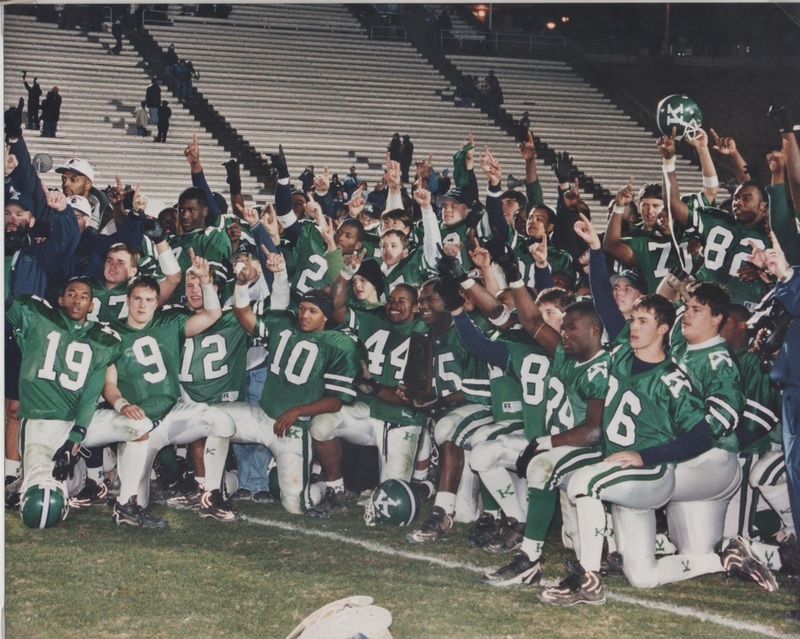 The 1997 Wonders were paired up with the 3A Eastern Divison's #3 seeded 14-1 Rams of Northeast Guilford who were playing in their first ever state title game. The Wonders outmatched the Rams from the start sending them back home in defeat 34-12 after a record breaking night for the states premiere running back Nick Maddox. Taking all of this information into account is this enough to sway your opinion one way or the other? It would appear on paper that the 1989 Wonders in fact had a more difficult road to tread than the 1997 Wonders had taking into consideration the 1989 Wonders played it's first three playoff games at home. 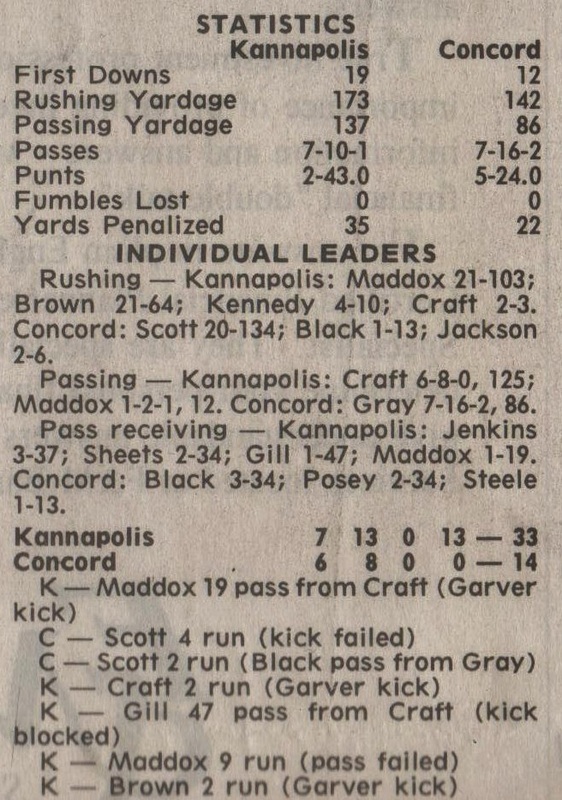 It could be argued that the 1997 Wonders proved their ilk by defeating the best team in the state that year in the sectionals by defeating the Concord Spiders who defeated the defending state champion and undefeated Red Tornadoes of Hickory laying claim to the title right there. It could be argued that the 1997 Wonders defeated those same Concord Spiders twice in the same year at Concord. It could also be argued that even though the 1997 Wonders were seeded in a sixteen team pod that the weaker teams were eventually weeded out anyway. So does this add any validity to one side's claim of superiority? I think both sides would agree that the 1989 Wonders defeated a more prestigious and far superior opponent in their state championship game than the 1997 Wonders did. After calculating the total raw scores in each category including Roster, Schedule, Known Statistics, and Point/Counterpoint arguments Friday Nights in K-Town concludes the following opinion. 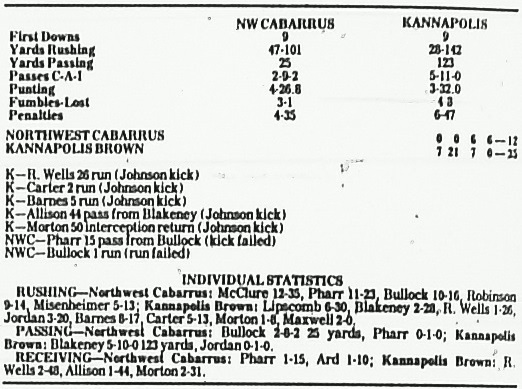 In a head to head match up between the 1989 and 1997 state champion Wonders, The 1997 Wonders appear on paper to have the slight upper hand over the 1989 Wonders in a head to head match up. Below are the dimension areas and cumulative raw scores in each dimension area. So, Has your opinion changed? What has all this proven? Absolutely nothing. lol If anything it proves statistically just how close these two teams were with only a few intangibles to set them apart from the other. Both the 1989 and 1997 state championship teams were blessed with ability and came together when they needed to to pull off the big wins. This study in reality could have gone either way. When you think about it six points is not very much differential at all. It's a touchdown with a missed extra point. So what if the two teams actually got together to play? Lets take a look at this scenario. "The Hypothetical Game of Games"
So what if it were possible for these two great state championship teams to settle the score once and for all on the playing field. How do you think it would go? but more importantly what would it take for both teams to be successful? What sort of chess match would one play with the other? That is the million dollar question that is going to try to get answered in this segment. Both teams bring a load of talent to the table, but one will lose and one will win. Lets take a look at what the 1989 Wonders will bring to the table. 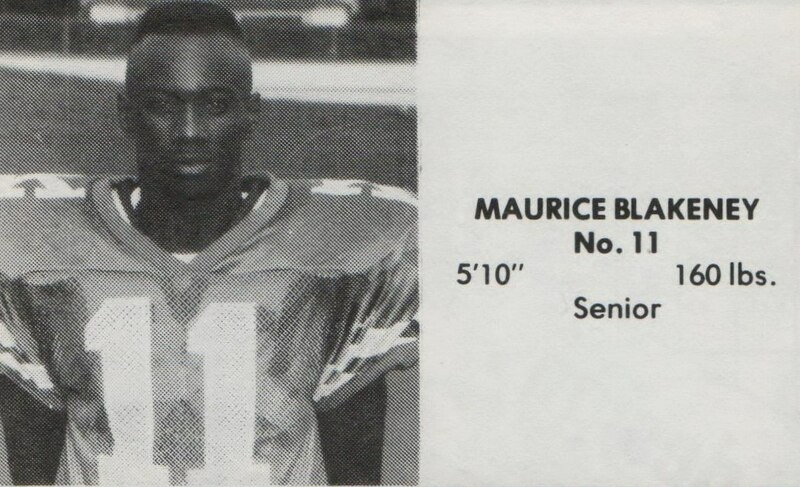 The biggest difference between the field generals of the 1989 and 1997 state champion Wonders is quarterback Maurice Blakeney's ability to scramble and to tuck and run if needed. Blakeney has a cannon and can throw the ball a country mile even on the run. Blakeney is his most lethal when flushed out of the pocket. His scrambling abilities allow for once covered receivers to get into open space. The 1989 Wonder offensive line will have a slight weight discrepancy, but nothing that will have much impact. Joe Willis, Charles Gray, Rock Stone, David Nichols and Center Chad Lambert anchor a solid offensive line that is very capable of giving quarterback Maurice Blakeney time to find open receivers. If the offensive line can hold their own against the physical 1997 Wonder defensive line then Mo Blakeney is going to have all day to throw the ball and get it to a wide variety of talented receivers. Reggie Wells, Darrell Allison, Ken Miller and if that isn't enough to score points you then have a future NFL talent to contend with at the tight end position in Mike Morton. Morton is big and physical and is good for at least five yards after every catch. Morton can also pass block so it will be difficult for defenders to get a shot at Blakeney coming off the edge he is lined up on. Then you have the 1989 Wonders running game to contend with if you are able to control the passing game. 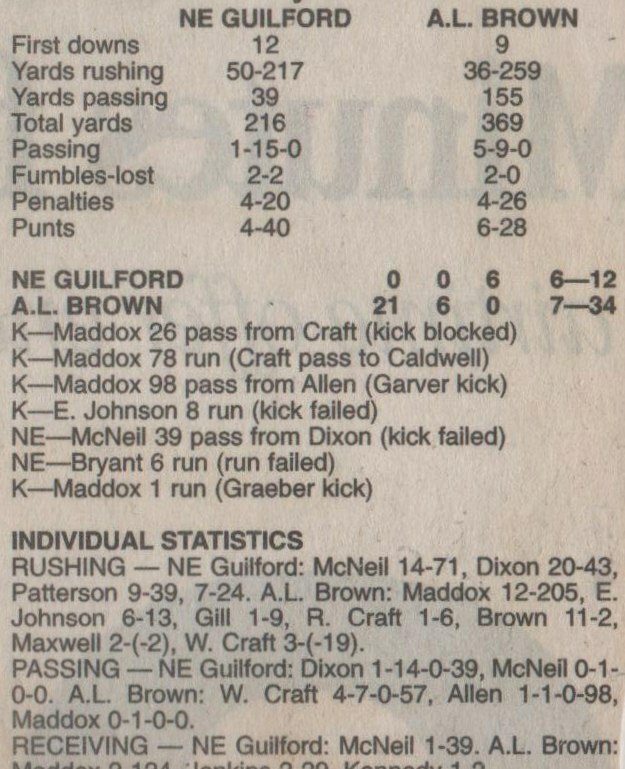 Remember the 1989 Wonders put up 423 points through the air and on the ground during their state championship campaign and did it playing some pretty stiff competition down the stretch. Of the 1989 Wonders 423 points scored that season 117 of them came in the playoffs against some wicked competition. 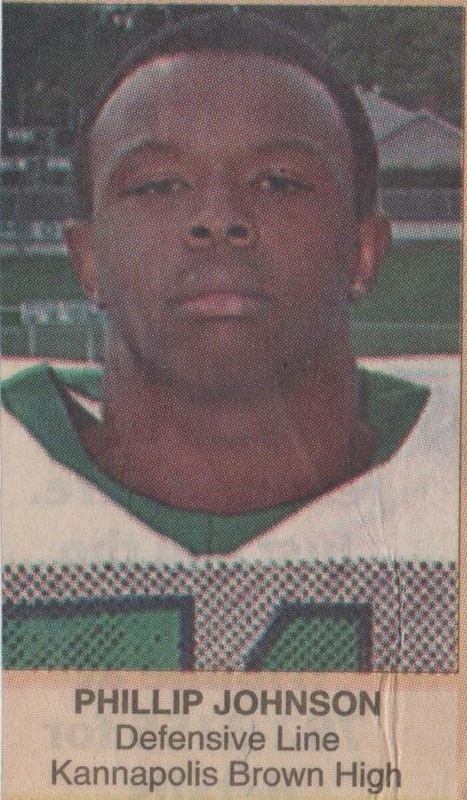 Carl Lipscomb is quick and elusive, Fred Carter and Michael Barnes are bruisers with speed. The 1997 Wonder defense must be able to hold their own on the line and maintain their gaps allowing their linebackers room to make plays. If any of these running backs get into the secondary it will be tough for them to make open field tackles on such physical runners using safeties. The 1997 Wonders have their work cut out for them. This will not be the cake walk some may think. The 1989 Wonder defensive line averages 207 pounds at the line of scrimmage and will face a 1997 Wonder offensive line averaging 212lbs leaving a size disparity too minimal to speak of. Anchoring the defensive line are tackles Travon Patterson and Tony Jones joining these two fine athletes is Guard Antoine Jordan along with defensive ends Roland Grant and Greg Jones. Linebackers and two way starters Mike Morton and Fred Carter without a doubt make the 1989 Wonder defensive lines one of the most athletic defensive groups to date. Morton is a very cerebral linebacker and possesses great play recognition. Patterson and Jordan are solid and difficult to move giving the offensive line much needed stability. Unlike the 1997 Wonder defensive line the 1989 version operates out of the 5-2 scheme using five down linemen and two linebackers. 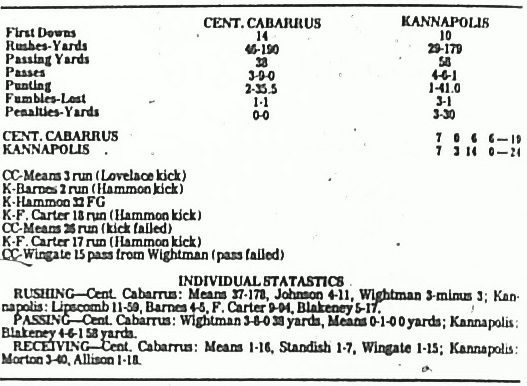 The secondary for the 1989 Wonders may be an issue on the defensive side of the ball. Traditionally the 1997 Wonders don't line up many wide receivers and will attack you through the air with their two tight ends Jeff Sheets, and Danny Jenkins. They will also use Nick Gill lined up as a flanker and then hit Nick Maddox out of the backfield in pass routes utilizing play action. The 1989 Wonder secondary has a definite height disadvantage which the 1997 Wonders could exploit. You would definitely want to put Gary Elder and Tim Atwell on Danny Jenkins and Nick Gill with speedster Reggie Wells keeping a watchful eye on Maddox. It will be most imperative for the 1989 Wonder defensive line to handle as much of the pass rushing duties on their own as they can leaving the linebackers to help in pass coverage. 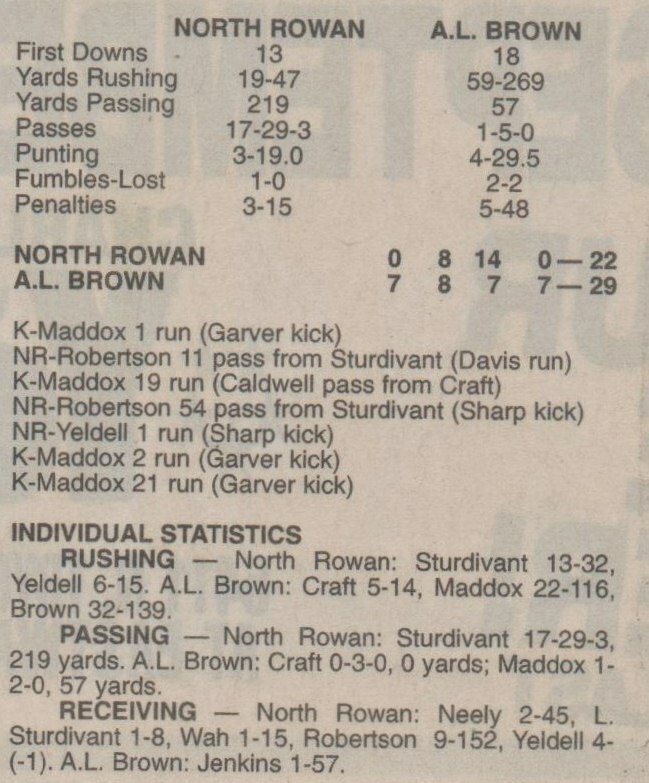 The 1989 Wonder defense will load the box to contain Maddox and Traun Brown so the pass could be very effective against them. Historically the most explosive offensive machines the Wonders have ever produced the 1997 Wonders are loaded from top to bottom with offensive weapons the like that has become the benchmark for Wonder teams to follow. On the field the 1997 Wonder offense is led by field general William Craft. Craft is poised and makes few mental errors and has the uncanny way of putting his team in the right play to be successful. Craft has the ability to read defenses well and though not a world class sprinter will tuck the ball and get positive yards as his display in the western regional final against Kings Mountain proved. Behind Craft is one of the best running backs to ever play football at A.L. Brown High School in Nick Maddox. Coupled with Maddox are dual threats in HB Traun Brown and a raging bull at fullback Evar Johnson. 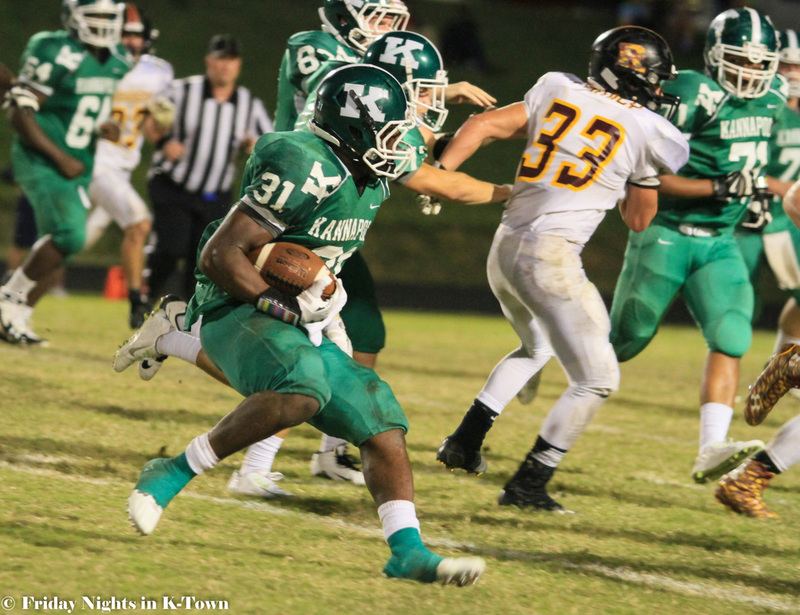 Up Until 2012 when Kalif Phillips and Ricky Sherrill came on the scene this backfield boasted the only two one thousand yard rushers in a single season for the Wonders in the same backfield. Craft has at his disposal threats in the passing game as well. Dual purpose players such as tight ends Jeff Sheets and Danny Jenkins along with flanker Nick Gill and the always scary Nick Maddox out of the backfield. Scoring points is no problem for this bunch stopping them from scoring is another story. The offensive line is anchored by Tackles Phillip Johnson, Desmond Miller along with guards Quincy Pedew and Ricky Mann. The center of the O-line is handled by Nick Safrit. The offensive line averages 214 lbs across the board while the 1989 Wonder defensive line averages 207lbs with only a difference of seven pounds. This is as evenly matched as you can get. The 1997 Wonders offensive line is strong and athletic. They can stand toe to toe with the biggest as the Kings Mountain Mountaineers found out in the western regional game. There is no weak spot in the offense and anyone attempting to put the brakes on this group had better do their homework and spend some overtime perfecting a spotless defensive game plan or else you are destined to get burned. Defensively the 1997 Wonders are as good as it gets. Only allowing a grand total of 154 points to be scored on them for the entire 1997 season. The defensive operates out of the 4-3 scheme and utilizes five two way starters in Jeff Sheets, Desmond Miller, Phillip Johnson, Nick Maddox, and Nick Gill. Anchoring the line is tackles Willie Pore and Desmond Miller along with guard Rashad Robinson and defensive end Phillip Johnson. The front four average about 224lbs across the line and will be lined up against a 1989 Wonder offensive line averaging 214lbs leaving a weight differential of about 10lbs. Not much difference to make too much impact. The line backing core is a thing of beauty with standouts Paul Allen, Marc Kennedy and Jeff Sheets. Alternating at the line backing spot is "The Assassin" Nick Gill. This unit is one of the best ever and takes special pride in bringing the pain when ever possible. In the secondary are Ravar Harris, Nick Gill, Tramaine Robinson and LaRon Caldwell. Sharing duties at DB is Nick Maddox. The secondary is equally as good and passing attacks will have to be very careful where they place the ball. The secondary will have a decisive height advantage over the 1989 Wonder receiving core. There are no weak links in the entire defense and teams facing this group will definitely have their days work cut out for them. Here is Friday Nights in K-Town's keys for success for the 1989 Wonders to send the 1997 state champions packing in defeat. DEFENSE!!! plain and simple. Defense wins championships and for the 1989 Wonders this will be a monumental task to shut down this juggernaut of offensive talent staring them in the face with this group. First of all the 1989 Wonders must take Wonder phenom Nick Maddox out of the equation. 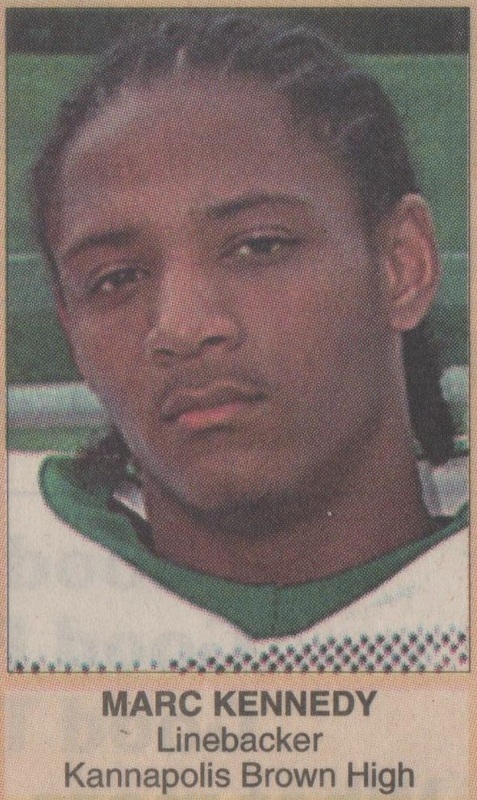 Maddox accounted for 47% of the 1997 Wonders total offensive production and has speed and elusiveness to break out of most conventional tackles. 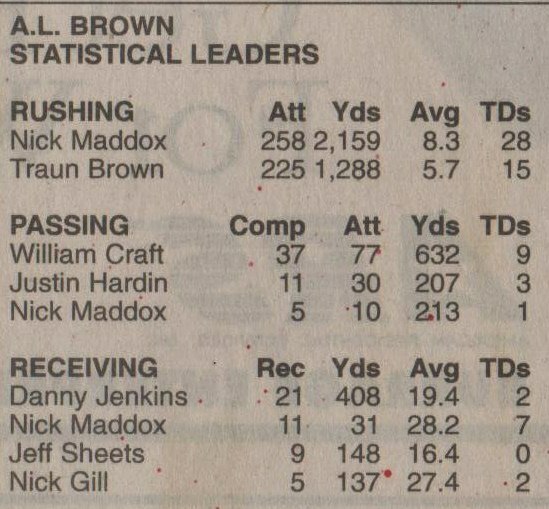 The 1989 Wonders will have to load the box as most teams learned in Maddox's junior season to keep him from getting any open lanes. The defensive line must utilize their 367lbs of size advantage to clog the line of scrimmage and force the Wonder backs to the outside allowing the linebackers to make plays. Linebackers Mike Morton and Fred Carter must stay disciplined and not get out of position. Maddox is his most dangerous on end sweeps where he is able to get a good head of steam and use his cutback ability to create lanes in the defensive flow. That doesn't mean he can't run between the tackles. Most of the up the gut threat will come from Traun Brown and Evar Johnson. Both of these guys are hard physical runners who use strength in place of finesse as Maddox is inclined to do. Johnson especially will bull rush you and knock a defender unconscious if he gets a head of steam. If Johnson or Brown are in the backfield expect something coming straight at you. Now just when you think you have controlled Maddox in the running game sneaky William Craft will lull you to sleep and hit Maddox out of the backfield or any one of his talented tight ends Danny Jenkins or Jeff Sheets on slants across the middle running out of play action. Linebackers Morton and Carter must be careful not to bite initially on the run threat and be able to quickly assist in pass coverage. Craft used this cunning very successfully in both games against Concord in 1997 and made the Spider line backers look silly. Craft's biggest target is split end Danny Jenkins. Standing at 6'05 180lbs Jenkins is a huge target and has great hands. Though not a world class sprinter Jenkins makes up for that with good balance. Linebackers playing the pass and DBs must make sure they wrap Jenkins up or he will shake off anything that remotely resembles a love tap. Jenkins proved his worth many times in 1997 when medium range yardage was needed for a first down.Take Jenkins out as a threat you then have to contend with flanker Nick Gill who stands just a little shorter than Jenkins at 6'03 180lbs. Gill will sneak up on you. Craft will use Gill on reverses and on streaks down the sideline. The 1989 Wonders will be at a huge disadvantage in this area with only one of their safeties standing at six feet in Tim Atwell. Craft connected on 40 of his 80 passes thrown in 1997 accounting for just at eight hundred yards and eleven touchdowns. The 1997 Wonders could use this to their advantage and knowing how Craft likes to throw the ball I'm sure they will notice this chink in their armor as well. If Craft has any weakness in his game it would be his ability to scramble. At 5'09 169lbs he is not the most agile of runners which the 1989 Wonder defense could exploit. Put pressure on Craft and force him out of his comfort zone you are effectively making the 1997 Wonder offense one dimensional. The 1989 Wonder defense can create this scenario by putting as much pressure on Craft as he can stand. If the defensive line can use their size advantage to account for most of the pass rush then line backers Morton and Carter are going to be effective in shutting down the 1997 Wonder pass threat. The 1989 Wonders play against Burlington Cummings and their high powered offense leads me to believe this is quite possible to accomplish. The Cummings offense was putting up astronomical numbers in 1989 and were shut out by the powerful Wonder defense. The keys for success on the defensive side of the ball are obvious. Execution will be the ultimate deciding factor. Offensively the 1989 Wonders will need to be able to run the ball consistently. The 1989 Wonders were a ball control offense, but unlike the 1997 Wonders they would air the ball out utilizing their speed on the perimeter. Reggie Wells, Darrell Allison and Ken Miller are very athletic receivers and can blow by most average secondaries, but the 1997 Wonders secondary is far from average. Averaging six feet tall the 1997 Wonder secondary men can blanket the 1989 Wonder receivers making them have to use their speed to get separation. Blakeney's best option will be short intermediate passes working the middle of the field. He will also want to utilize the ability of his superb tight end two starter Mike Morton. Morton like Danny Jenkins is a huge target, but Morton has a definite speed advantage. Morton is tough and physical and has honed this skill in the line backing position. 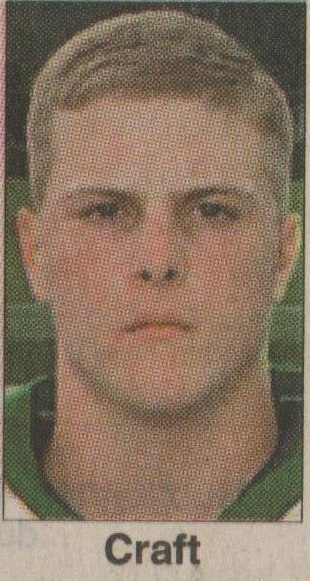 Morton will be a scary weapon for the 1997 Wonders to contend with. Since Blakeney will work primarily out of the shotgun his scrambling ability will make it possible for him to extend plays allowing the receivers to find soft spots in the secondary. Blakeney is blessed with a rifle arm so don't go to sleep and let one of his speedy receivers get behind you. 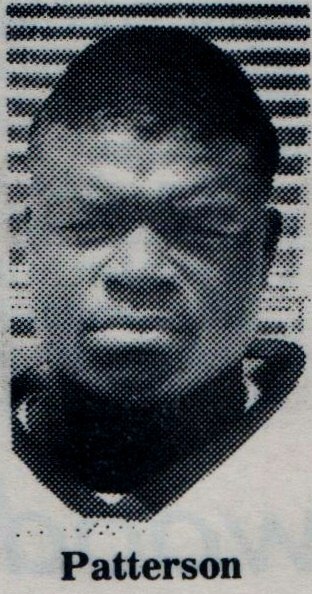 Reggie Wells proved this against Cummings in the state championship game. The Wonder backs must play physical because the 1989 Wonder offensive line is undersized ever so slightly by about 10lbs per man not enough differential to have that much impact. The offensive line must not allow the defense to blow them off the ball if this happens then you will force Blakeney to throw the ball or tuck and run. The 1989 Wonder offense is a physical type of ball control offense that enjoys eating up clock on sustained drives, but don't let this fool you because with threats like Reggie Wells in the lineup they can score quickly if they need to. The 1997 Wonders will face their most formidable opponent in the 1989 Wonders. If I had to compare them to anyone the 1997 Wonders played during their state championship run I would have to say they stack up comparably to Kings Mountain or Burns not as big up front, but just as athletic. The 1997 Wonders will have a tough game, but one they can win if they keep mistakes minimal and score quick and often. 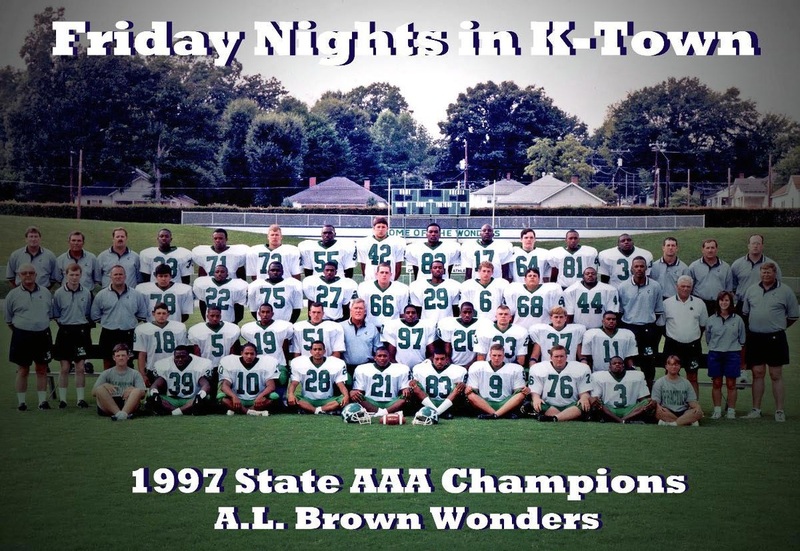 Here is Friday Nights in K-Town's keys for success for the 1997 Wonders to send the 1989 state champions packing in defeat. (RNR) or Run Nick Run! lol, It doesn't take a rocket scientist or a degree in physics to figure out what the 1997 Wonders will do in this game. They will feed the ball to Nick Maddox until his socks are mismatched. Ooooops Better not go there!! lol In all seriousness the 1989 Wonders are not going to fall for that. They know Nick is the bread and butter of this team and you can bet they will not allow themselves to get embarrassed in front of their home crowd. The 1997 Wonders can bet the the box will be loaded so to put all their eggs in one basket could be the death nail. 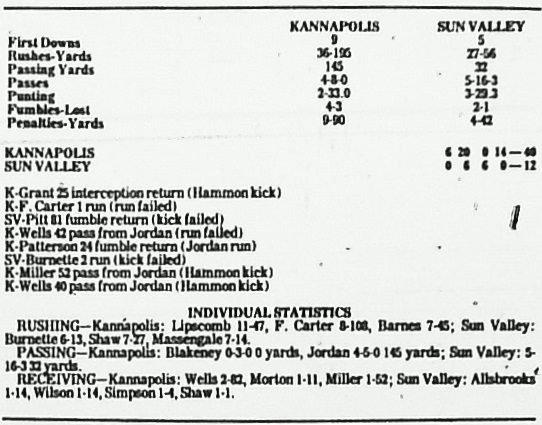 The 1997 Wonders can't afford to become one dimensional as they learned in the 1998 re match with Kings Mountain at Memorial Stadium. Though the 1989 Wonders don't weigh 300lbs across the line they are tough and physical so it will be in their best interest to do as they did in the 1997 sectional final against Concord and spread the wealth. Offensively speaking Quarterback William Craft will have to play a smart game against this group of Wonder legends and manage the game wisely. The 1997 Wonders will need to mix the run with the pass as a necessity to keep the 1989 Wonder defense honest. This is where the the 1997 Wonders could do their most damage. The 1989 Wonders gave up 573 yards of passing offense in the 1989 playoffs so there is proof that their secondary is vulnerable. 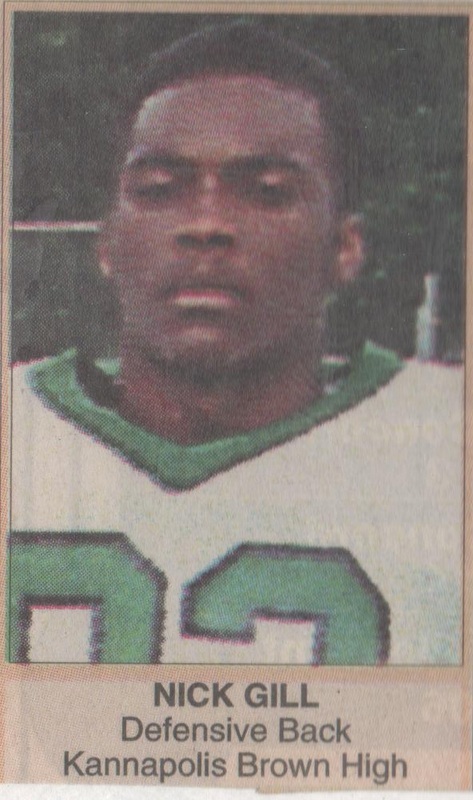 The 1997 Wonders must utilize Jenkins as they did during the 1997 state title campaign as their go to tight end for short yardage and that ever critical third and short. Jenkins and Gill both will need to keep their head on a swivel because linebacker Mike Morton will be waiting in the middle to decleat whoever is crazy enough to catch a slant or a hitch anywhere in his vicinity. So what about the running game? As I stated earlier the 1989 Wonders are way too smart not to know that Craft will be giving the ball to Nick so to mix things up a bit he will need to get his big fullback Evar Johnson touching the ball from time to time. Johnson is a bull and can get five to six tough physical yards every time he gets the ball. If the offensive line can defeat their men at the line then Johnson could become a very effective weapon. Nick will have some success, but I don't think you can ride him into the ground in this game. Maddox could possibly be his most effective in the passing department. Craft may need to use some play action to throw off the linebackers who are sure to bite on the run with Maddox in the backfield. Crafts tight end Danny Jenkins, and flanker Nick Gill stand well over six feet tall which could be used to exploit the height disadvantage of the 1989 Wonder secondary. If this game were to come down to a ball control type of game that the 1989 Wonders like to play then Craft can do his part by making sure he reads his defensive formations correctly and use his own athletic ability to get those short yardage first downs. 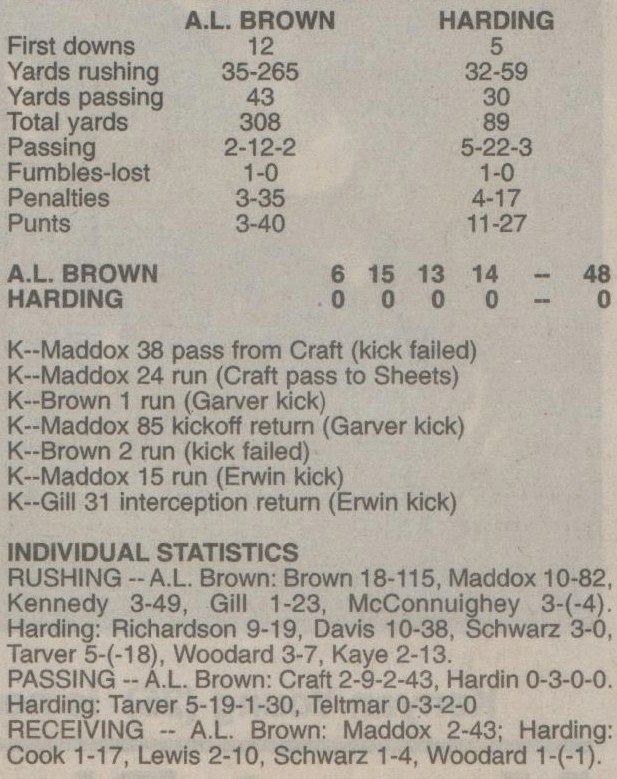 Craft was very effective in the 1997 western regional on the final Wonder scoring drive using the quarterback keeper and running off his center's hip. If this scenario presents itself then Craft will need to be very aware of where linebackers Morton and Carter are positioned. If it looks like they are biting on Maddox to the ends then the middle will be vulnerable. 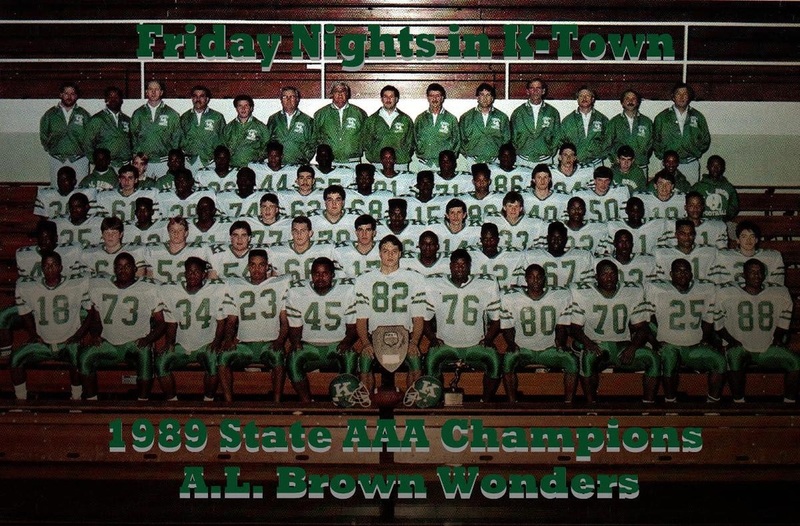 Well, there you have Friday Nights in K-Town's breakdown of the AAA State Champions for 1989 and 1997. I have to say I learned a lot myself researching this and compiling this data for Wonder nation to analyze for themselves. Is it possible or practical to decide who is really best this way? Of course not. The only way this would ever be decided is if the two teams played each other in their prime and we all know that will never happen. Friends, fans, family, players, all have their opinion and most of them are very vocal about it. Some of the coaches may not say because in reality they loved each team just as much as individuals as they did players and none of them would want to come off as if they were partial to one or the other. That makes sense and I wouldn't want to create a rift. All this has probably accomplished is add fuel the fire for the debate, but a little competition when it's friendly keeps the blood circulating. I would like to see that game of flag football between the two teams if you could get enough of them together. I think it would be a great community event and I'm sure well received.